We’re absolutely thrilled to share this amazing news with you today! BEGINNING APRIL 23, 2019, select Targets in California, Utah, Arizona and Hawaii will carry NAKED BACON! That’s right, Whole30 Approved, sugar-free, nitrate-free bacon will be readily accessible during your weekly Target run! If your store didn’t make the list and you’d like to see Naked Bacon at your local grocer, please let them know! On our blog, we’ve compiled a list of grocers that have product request forms on their websites, plus we’ve made our own product request form in case your favorite store isn’t on the list. Please check out the blog post and help us bring sugar-free, nitrate-free Naked Bacon to more stores across the US! And remember, Naked Bacon is always available nationwide through our online shop, and we deliver directly to your doorstep! Thank you for your support of our small business! We’re unbelievably excited to announce our newest partnership with Basically It Meals! Basically It Ready Made Meals is a healthy meal delivery service, offering balanced and delicious ready-made meals in the greater St. Louis, MO area. They do the cooking for you, so you can live your best life! All Basically It meals are sugar free, gluten free, approved by a nutritionist and prepared by a trained chef. And did we mention that delivery is always free?! Now, Naked Bacon is the exclusive provider of bacon for Basically It! That means when you choose Basically It, you can trust you’re getting sugar free and nitrate free bacon in your meals, alongside the other high quality ingredients they use. Head to BasicallyItMeals.com to order, and check them out on Facebook or Instagram to learn more about them! Naked Bacon was featured on the cover of the Fall 2018 edition of The Natural Food Exporter Magazine, the leading international trade magazine for the U.S. food and agricultural exporter. The magazine, founded in 2006, concentrates on emerging markets and areas of the world that are aggressively looking to import from the United States. It serves 12,000+ international readers in over 50 countries and provides the most comprehensive information on new markets and commodity updates on important food products here at home. At Naked Bacon, we know that our bacon can be part of a balanced, whole foods, and clean eating diet, and we’re out to share that with the world! Naked Bacon founder John Kreilich joined Reshaunda Thornton of Better Vessel Nutrition on Fox2 to talk about health, nutrition, and of course, bacon! “It’s naked for a reason. 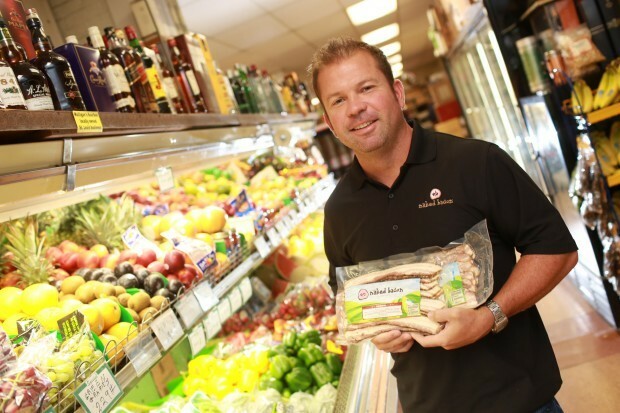 Nitrate are basically a preservative… it damages your cells and causes cancer, so that’s what distinguishes his product from most products you see at the stores,” added Reshaunda. Together the friends cooked a few healthy recipes using Naked Links and Original Bacon. Watch the full video here! Over the summer, Naked Bacon was showcased at NYC’s annual Fancy Food Show - the largest specialty food event in North America. Among 200,000 new products, it’s hard for any product to stand out, but Naked Bacon sure did! Founder of Eat This, Not That! 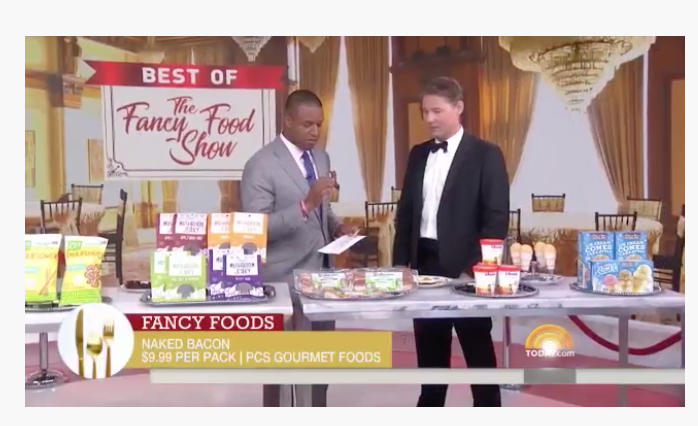 and Health and Wellness Contributor at the TODAY show David Zinczenko scoped out the newest, healthiest products to share with the TODAY show audience. Shop our line of healthy and delicious bacon and see for yourself what bacon should taste like. Check out the article about us in the Ladue News! Join us every Saturday from 8:00AM - 12:00PM at the Tower Grove Farmer's Market.